The Beefsmith – finest quality beef from grass-fed native British cattle, direct to you from rural South Norfolk. Deep in the heart of East Anglia lies a little pocket of cow heaven called Home Farm, Starston. 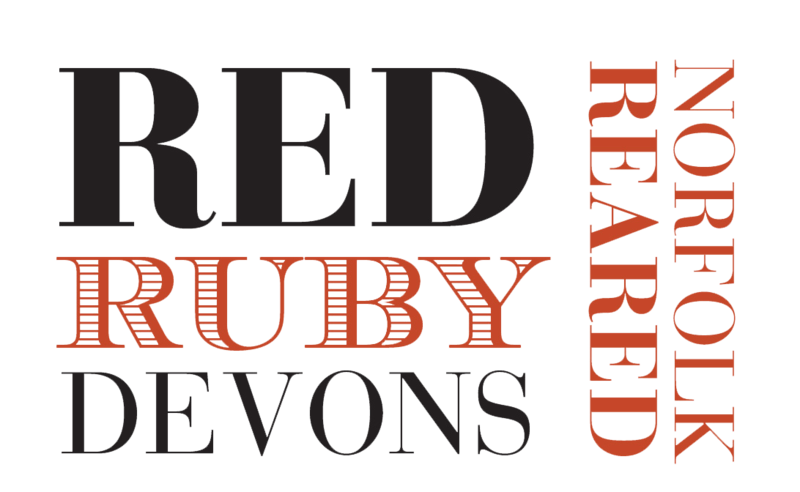 Here, our contented herd of pedigree Red Ruby Devons roam acres of pasture all year round. All our beef comes from our own herd, meaning we know exactly what we’re getting – and more importantly so do you. 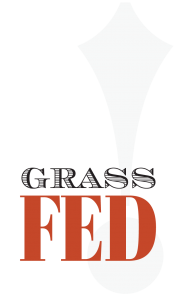 Our cows are grass-fed, on our rich and varied pastures, and hand finished to the highest welfare standards, slowly but surely. Our cows are allowed to mature over 24 months, ensuring the art of slow maturing enriches every last bite with sumptuous fuller flavour. Once you have tasted our marbled, succulent Red Ruby Beef, we promise that you’ll never look at other beef in the same way. The extensive, conscientious way in which we artfully hand-care for our herd makes our beef more tender and tasty. All of our animals are treated as individuals, and so are finished when they’re ready, not a moment too soon. 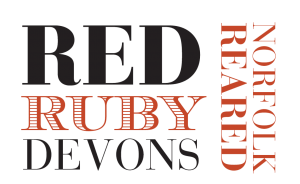 If you’re interested in knowing more about our Red Rubies and the Beefsmith please get in touch and we will be happy to add you to our preorder list, which will keep you informed of our latest products and availability via our newsletters.